If you love to be in the water and explore the deep seas, check out these scuba diving locations in Missouri. If you are an expert or a beginner it doesn't matter. Find the best places in Missouri to go scuba diving right here! For a unique and exciting experience underwater join The Great American Diving Company for some great scuba diving in Missouri. Through a comprehensive program you can learn five fundamental concepts; comfort, confidence, equipment, skills and experience to turn you into a safe diver. The Great American Diving Company had started scuba diving in MO on April 5th, 1993. Are you 8 or 80, interested in scuba diving in Missouri? Try the Great American Diving Company where it is really, really cool to scuba dive! When? Monday to Friday at 11 am - 8 pm and Saturdays from 11 am to 6 pm. You have a great opportunity to join the Discover Scuba program at $25 per person. Flexible scuba diving schedules are available in 2013. One of the best open dive locations is West End Diving for scuba diving in Missouri. West End Diving offers an excellent training ground for students seeking a diver’s certification. Talk of a 100+ feet of visibility and 62 degrees temperature make conditions that are best suited for students trying to sharpen their diving skills. Scuba diving at West End Diving in Missouri takes place in all weather, no need to worry about winter or summer, it is also fun-filled being the Midwest’s largest Dive Centre. Store hours are Monday-Friday 10 am-7 pm and Saturday 10 am-4 pm. Are you a deep diver? Are you ready to go as deep as 130 feet? Deep dive at Missouri's TD Scuba center is a place where you can be taken through the procedures safely to execute deep dives. On Sundays the store remains closed. However, on Tuesday-Friday the store is open from 11 am-6 pm and Saturday 11 am-4 pm. You are welcome to visit the TD Scuba center during any of these times. Let your children celebrate their birthdays underwater under close supervision of trained divers at a cost of $100 for every 5 divers. Additional charges of $25 will be charged for up to 8 divers. Hurry! Hurry! For space is only available every 3rd Sunday of every month at 10 a.m. Where? Blue Springs YMCA. Divers Equipment has an amazing opportunity for kids aged between 8 and 12 years for scuba diving in MO. Just imagine swimming underwater and being able to breathe still! Besides red fish and yellow fish you get to see dolphins too. You definitely want to experience that. When you become a SCUBA RANGER you can now hold a real cylinder on your back. That sounds cool! At Divers Equipment you will be taught how to breathe and learn how to stay underwater without having to go up for air frequently. Services at Divers Equipment for scuba diving in MO are available Mon - Fri 11 am - 7 pm and Saturday 10 am - 4 pm. Invite your friends to have fun too. Do you have what it takes to join the Ultimate Diver's Challenge? Start discovering your skills in scuba diving. To be tested is a good thing; this may be the best therapy to improve your skills. Meet experienced divers, Scuba Judges, a safety team, crew and the host. Be part of a TV show that will take scuba diving to the next level. To have a precursor of the MO scuba diving event, watch Ultimate Diver’s Challenge's video page to see the excitement and action. 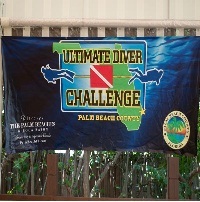 Submit your registration form to Ultimate Diver challenge, LLC no later than June 1, 2013. Participation fee is $250; however, divers staying at the host resort will pay $300. 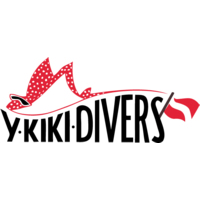 Explore, have fun in a safe environment in the water at Y-kiki Divers established in the year 1989 in St. Louis, MO. With unparalleled quality services offered to customers since its inception, this is the place to be. 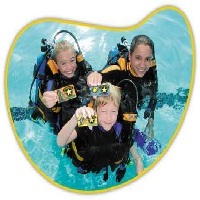 Get your SCUBA BSA recognition card, as a Scuba Award for scuba training. With a strong team of scuba enthusiasts you will have a captivating experience in the water. Y-kiki Divers supplies scuba equipment such as masks and all you need to do is pay for instructions and equipment use at a cost of $30 per person for groups of 9 or less. Otherwise you pay $25 for groups of 10 or more. Y-kiki Divers scuba diving in St. Louis, MO opens its doors on Monday to Friday from 10 am to 7 pm, Saturday 10 am-6 pm while Sundays the store remains closed. If you are interested in scuba diving equipment then you should go to the online home of A Scuba’AH Shoppe. 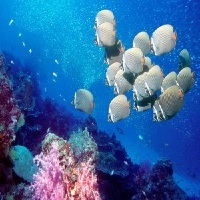 You will receive a package of services offered to both novice and experienced divers. You will get affordable prices and at the same time enjoy yourself. A Scuba’AH Shoppe is an authorized dealer in scuba diving in MO with a guarantee in quality of gears ranging from Mares Carbon at $499.95, Sherwood Silhouette at $300.00 and much more. Have you explored spectacular reefs and swam with Dolphins? Look no further. 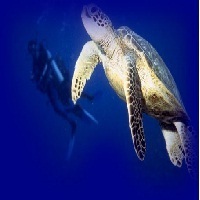 Scuba explorers, has been providing scuba diving training/certification and excursions since 1984. Join Leslie O'Neill, a certified P.A.D .I. Instructor who shares her passion for diving through training, certification and worldwide dive adventures. All lifestyles are accommodated from economical to lavish. Come and try scuba diving in MO, and have a spectacular experience. 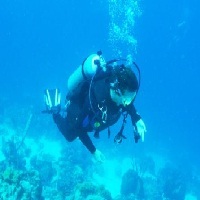 Leslie O'Neill empowers you on how to use the scuba diving equipment and breathe underwater. You’ll realize how easy it is! Need a fascinating scuba diving place in Kansas City? 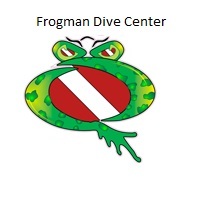 Scuba diving in Missouri at Frogman Dive Center provides professional training for you. There are all levels of training so if you are an amateur don’t hesitate to come, there is something for everyone. You will be taken through safe training techniques as you have fun too. A journey of a thousand miles begins with one step! You can grow to become a Rock Star Scuba diver. Ensure you have checked on Frogman’s Dive Center Facebook page for upcoming events on scuba diving in Missouri at this center. Summer Hours: Monday-Friday: 10:30 am-5:30 pm. Set up appointments for Scuba diving on Saturday and Sunday. Diving has never been boring at Midwest SCUBA! You will always meet new divers or otherwise get a demo of new diving equipment. It is absolutely free to join though one must be a certified diver. 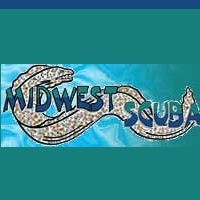 Connect with Midwest SCUBA on Facebook and meet more dive friends for boat dives and unlimited shore diving. You not only get pleasure from Midwest Scuba diving in MO, but you can also take part in protecting the marine environment by getting the scuba diving magazine. Check out a list of things you can do to help the marine life. The stores are open Monday to Friday from 9.00 am – 8.00 pm. For weekends it’s operational on Saturday from 9.00 am- 6.00 pm while it remains closed on Sundays.